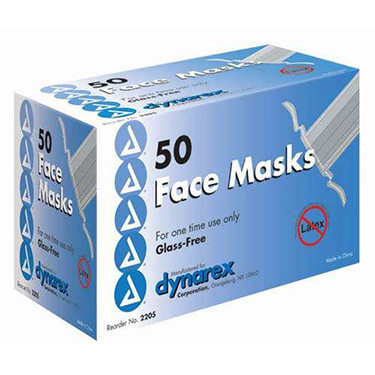 Pleated Mask w/Ties BX/50. Blue pleated surgical mask with glass-free filter. Latex free.